National Highways Authority of India has identified 506 ‘black spots’ — stretches that have become notorious for accidents. 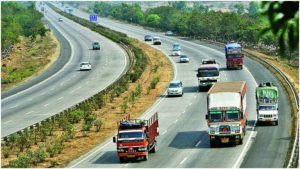 New Delhi: National Highways have for long been the bright spots on India’s lacklustre road transport network. The National Highways Authority of India (NHAI) has now identified what it calls ‘black spots’ on these roads India has long been proud of — stretches that have become notorious trouble spots for accidents or where accidents have historically been concentrated. A NHAI report has said there are 506 such stretches across the country, with as many as 78 (or 15.4 per cent) in Tamil Nadu alone, the highest for any state. The southern state also tops the country when it comes to the number of road accidents — it witnessed 65,562 road accident cases last year according to the ‘Road Accident Report 2017’ compiled by the union road transport ministry. These accidents killed 16,157 people. However, these accidents and deaths are not restricted to just the ‘black spots’ and are from across the state. With 68 ‘black spots’, Uttar Pradesh was second on the list. But the state topped the country when it came to the number of people killed in accidents on all types of roads with 20,124 deaths last year. In terms of the total number of road accidents, Tamil Nadu was followed by Madhya Pradesh with 53,399 (10,177 deaths), while Karnataka stood third with 42,542 accidents (10,609 deaths). Poor maintenance, coupled with a widespread lack of traffic discipline have made India’s roads particularly dangerous, with nearly 1.5 lakh people losing their lives in road crashes last year. Official data also shows that national highways accounted for 30.4 per cent of all road accidents in the country in 2017 and 36 per cent of the deaths with 53,181 people killed. The previous year national highways accounted for 29.6 per cent of all road accidents in the country in 2017 and 34.5 per cent of the deaths with 52,075 people killed. NHAI secretary Yudhvir Singh Malik told ThePrint the agency has fixed about half (250) of the ‘black spots’, but in Tamil Nadu just three of the 78 identified spots have so far been corrected. The NHAI report said the maximum number of road deaths occurred due to “road engineering defects”. Officials said there is no specific definition for what constitutes a “road engineering defect”. The description is generally used when a problem develops due to the negligence of the department responsible for maintaining the road — covering everything from potholes to poor planning. Nitin Gadkari, union minister for road transport and highways, had said at a recent conference that India had not been successful in terms of ensuring road safety for its citizens, and that accident figures reported in India were “embarrassing” compared to those of other countries. “It is embarrassing that whenever we have gone for world forums, it has come to light that the countries which had really high numbers of accidents have reduced those figures, and we continue to be at the same platform,” he had said. Gadkari had assured that his ministry was “working on a war footing and making efforts such that there won’t be any faults in road engineering”.